Our Life Science Division is always on the look out for local and global business trends in Pharma, Personal Care, Flavours and Fragrances. 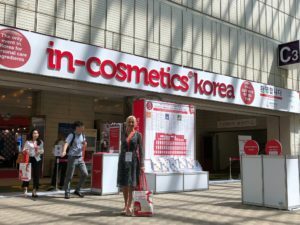 This time round we’re in Korea, where the in-cosmetics Fair is taking place. The exhibition brings together over 200 exhibitors of ingredients, fragrances, lab equipment, testing and regulatory solutions, as well as over 7,000 cosmetic manufacturers from Korea and overseas.